eReaders with eInk screens have not stood still while LCD screen tablets have innovated, though eInk reader pricing has stabilised at just north of $100. I’ve been using the latest generation Amazon Kindle Paperwhite and Kobo Glo during recent trips overseas as well as commuting to and from meetings to see how well they work. Their new builtin screen lights solve the problem of reading books from an eInk screen at night or in a dark area such as during a flight when the aircraft lighting has been turned down, higher screen resolutions increase display crispness and snappier 1Ghz processors make using the devices generally snappier. For the last few years eReaders with eInk screens have been the best ways for workers comutting on public transport, frequent flyers and holiday makers to read books. Affordable tablets like the Apple iPad Mini and Google Nexus 7 are great gadgets but they have limited battery life whereas dedicated eReaders have extremely impressive batteries that last for many weeks if wifi and light are off. With their lights on at a low level the Glo and Paperwhite batteries last for about 60-70 hours. Tablets also have LCD displays that are always backlit emitting light at your face unlike the Paperwhite and Glo which are frontlit down onto the device from the edges and you can switch the lighting on or off. NOTE: a reader pointed out that the Paperwhite light doesn’t actually turn off, it just gets very dim. With the Paperwhite If you could turn off the light completely, it would mean that to use it in the dark, you would need to turn on a light in the room, to enable you to see the screen to press the light button onscreen before you could turn the light on again. Looks like Glo is superior because it has a hardware light switch which actually turns it off/on. Nevertheless these small tablets are more affordable and easier to hold than the initial Apple iPad so they must be stealing some marketshare from eInk eReaders. According to several industry analysts the sales of eInk eReaders has plateaued and may fall soon as people who own one already are not upgrading to newer models unless their existing one breaks. This is backed up by anecdotal evidence from seeing ebook readers “in the wild” on Sydney public transport, most are at least one or two models in the past. In terms of software both the Glo and Paperwhite are easy to use and have smartphone and tablet apps that synch to your e-reader so that you can continue reading on them if you leave your eInk eReader at home by mistake. Both screens are 6” in size but the Kobo has a smaller bezel so it is less high and wide edge to edge. If you have an early generation Kindle or Kobo you’ll notice the Glo and Paperwhite display text more crisply thanks to their greyscale eInk 1024×758 resolution screens compared to 800×600 for old eReaders. Both the Glo and PaperWhite screen lights can be turned on and off at will and have their brightness level varied to suit your eyes. The Glo has a dedicated light button at top right of the eReader near the power slider. 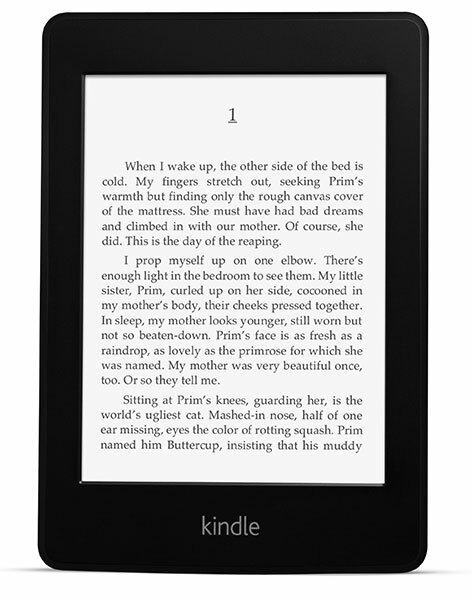 The Paperwhite requires users to go to the menu and press the lightbuld icon to turn the light on or off and vary intensity. Book availability remains problematic with Kobo having some authors and publishers on board that Amazon doesn’t and vice versa. Sometimes the book you want won’t be available for sale in Australia at all which is very frustrating and leads some readers to torrent books instead. Kobo has the edge overall because you can load any ePub book onto it, Amazon will only let you read PDF’s and books you buy through the Kindle store. In terms of ports both have Micro USB at the bottom. Glo is WiFi only whereas PaperWhite has Wi-Fi and 3G models. Storage space is 2Gb onboard for both (about 1GB usable for your books) but the Kobo also allows you to add upto 32GB extra storage via a MicroSD on the left edge. Overall both are splendid devices. However, Kobo’s Glo has the edge because of it’s support for the ePub standard and ability to expand storage via MicroSD. Before purchasing an eReader you should also consider how much you have already invested buying books from Amazon or in ePub format. If you’re inclined to switch from Kindle to Kobo, have a big Kindle book library already and you know what words like DRM and Python script mean then checkout Boing Boing which links to a way to read Kindle books on any ePub device like the Kobo Glo. 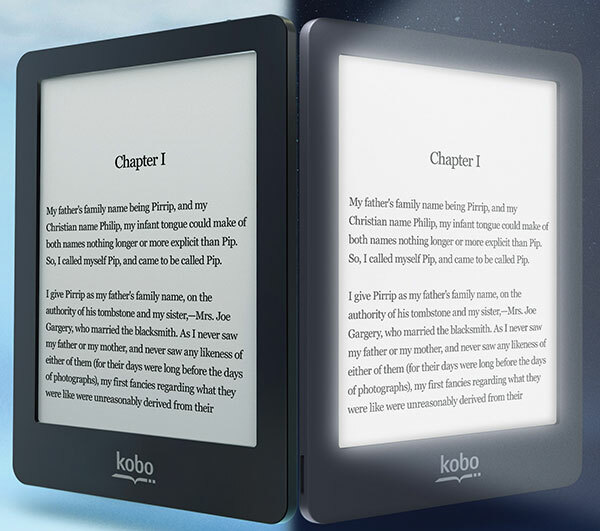 The Kobo Glo is available in Australia in stores or online from Collins, Bookworld, Angus & Robertson and Myer for $159. The Kindle Paperwhite WiFi is available from Amazon for $119 (with ads onscreen) or $139 (without ads) plus shipping costs. The PaperWhite WiFi + 3G is $179 (with ads onscreen) or $199 (without ads) plus shipping costs. Curiously at the moment Amazon is only shipping Kindle Paperwhite’s to some Australian addresses and not others. Next PostNext SSD Upgrade Benefits Fast, Cool, Silent. Worth The Money?